Beautiful San Diego. Wish you were here. People get car insurance to cover themselves against any financial liability, physical damages due to an accident or vandalism, theft or natural disasters. There is a VAST plethora of insurance plans that vary according to certain factors such as the premiums you want to pay, the type of car you drive, your age, your driving record and where you live. 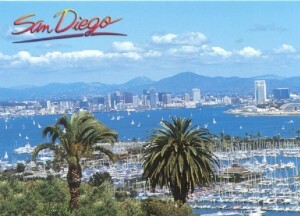 This article will focus on San Diego, California. We will look at the Minimum Requirements for car insurance in San Diego, key players in the auto insurance industry and a few companies from the area. Although, there are minimum insurance requirements mandated by California State law, one should understand that it is bare minimum and might not cover major aspects of insurance as comprehensive and collision insurance. It is the drivers responsibility to review the different types of car insurance available in the market and choose the right one. San Diego Car Insurance minimum requirements state that a liability insurance cover of certain level is mandatory. Liability Insurance ensures that the driver is at least covered against damages caused to third party individuals or property in case of an accident. The minimum requirement for San Diego Car Insurance is $15,000 for Personal or Bodily Injury per person involved in the accident and or $30,000 for total personal or bodily injury liability. Apart from the personal injury cover a minimum $5,000 cover for property damages caused during an accident is also mandatory. This minimum requirement for San Diego Car Insurance does not cover theft, damage to the vehicle due to collision with other objects, damage due to vandalism and damage caused due to natural calamity or disaster. Although, the state mandates only a minimum insurance requirement, it is advised to go for a comprehensive or full auto insurance coverage which will ensure maximum coverage and peace of mind. A full insurance cover also is beneficial when you have a lien against your car that ensures the lender is also covered. However, as stated earlier, there are several aspects which contribute to the insurance premium and one has to review each one of them to make a right choice. There are several providers or agents for San Diego car insurance that can help you out in choosing the best car insurance policy. However, make sure you consider a few important points that help you significantly reduce the cost of your car insurance. Try to opt for a longer insurance term which works out a little cheaper when considered to small term insurance covers, if possible opt in for multiple car insurance which turns out to be a much cheaper deal when compared to individual car insurance, try to get a group discount, make payments through EFT which reduces the cost of premium because of discounts by a certain amount and lastly try and maintain a clean history which will result in bonus and helps you reduce the car insurance premium. A list of San Diego Car Insurance agents is available at multiple websites over the internet along with the contact details. « CaliforniaCarQuote.com now on Youtube!